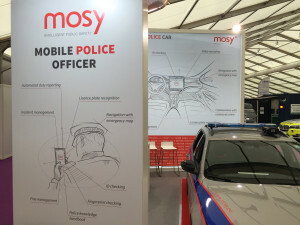 For MOSY it is an honor to show and compare its products and technology on such a mature market. 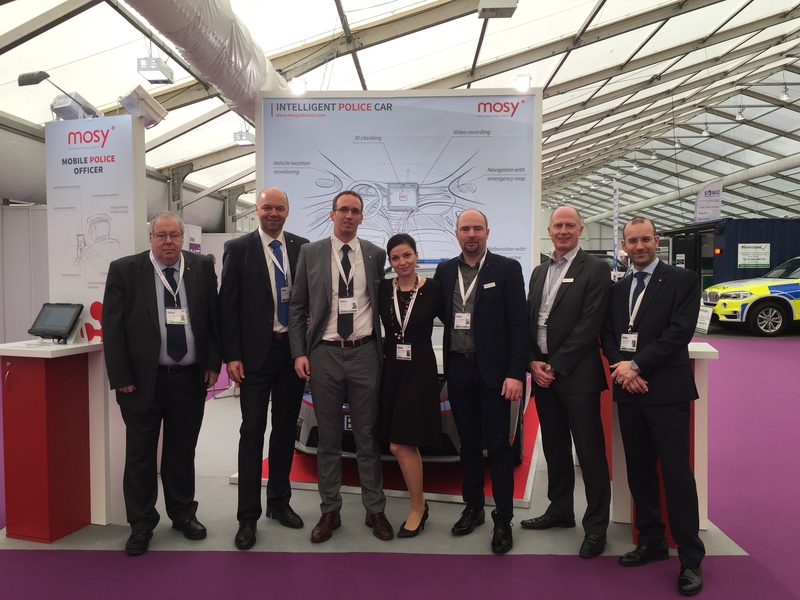 We just returned from the Security and Policing event held in Farnborough on March 7-9, 2017 and we found this event very insightful and successful. We saw many interesting technologies that caught our attention. One of them was the 360 camera and software solution from the company Observant Innovations. Their camera and software solution capture and present a panoramic history of the scene for ‘real-time’ or subsequent contextual understanding and analysis. Another interesting technology was an advanced microphone array system for audio capture and acoustical zoom by company Squarehead. Their microphone array combines a large number of individual microphones to create a highly directional audio output. Our Intelligent Police Car and Mobile Police Officer solutions also received many positive feedbacks. For the first time, we presented our Q*BOX, a single device that combines several functionalities. It is an in-vehicle computer with broad comm unication platform (LAN, 3G, 4G, Wi-Fi, GPIOs,..), with GPS and mainly with a programmable power management system, that manages all power consumption in a vehicle. We also showed our new version of m*Patrol SW platform, that runs on all mobile devices (Android, iOS, Win), connects to the Q*BOX and offers many functionalities (video recording, ANPR, document reading, collaboration with dispatching and much more). For the first time we presented our Sky*Phone (5” Android) and Sky*Tab (10” Win), ruggedised devices with built in smart card reader and hot swappable battery. Sky*Phone offers also a fingerprint reader and with its modest physical parameters fits well into a police officer’s hand. Sky*Tab was seen as a very good alternative instead of a fixed installed monitor inside the vehicle. In general, our visitors appreciated how well all modules are integrated into one platform. They credited our clean installations in the vehicle, especially the Q*BOX being a single device with a practical cable cover. On the other hand, we were inspired by good ideas from our visitors. One of them was a feature that may turn off the screen when the car is moving (the driver should not be disturbed with anything while driving). The show was a success; we gathered more than 80 contacts from more than 20 countries, many of them with high interest. Stay tuned for our new developments and deliveries and we are looking forward to seeing you on the next show, which is the Milipol Paris 2017.